The Kestrel 4200 makes HVAC technicians jobs even easier with automatic wet bulb temperature and humidity ratio readings. 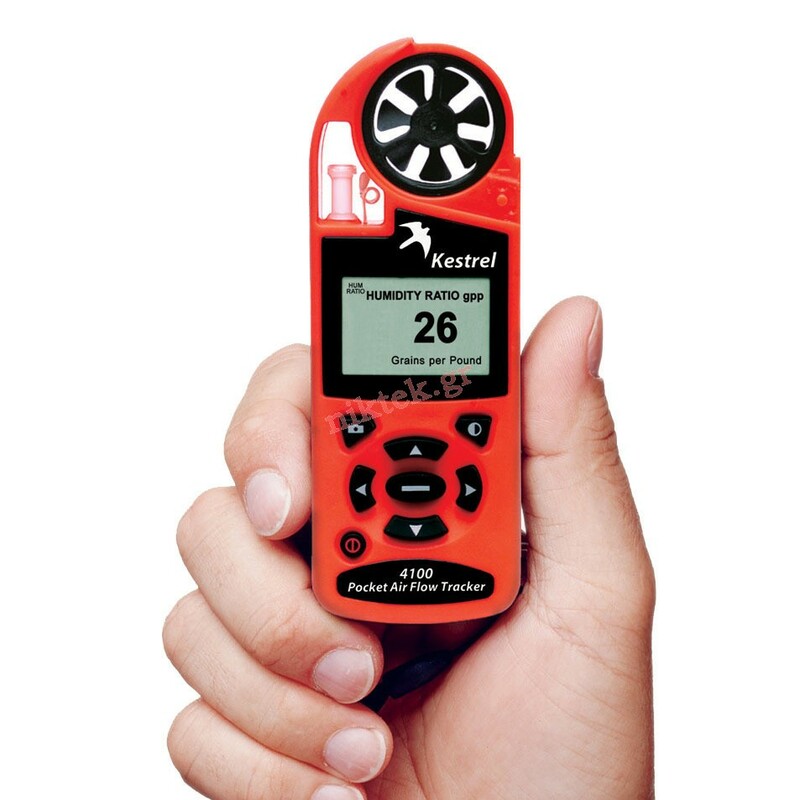 Of particular interest to dehumidification professionals, the Kestrel 4200 measures relative humidity, dewpoint, wet bulb temperature and heat stress index as well as the humidity ratio—and the patented dual chamber humidity sensor assures fast and accurate readings in any environment. Get immediate and accurate readings of volume air flow, wet bulb temperature and humidity ratio. Enter the duct shape and dimensions, hold the Kestrel in the air flow and the volume air flow readings are displayed right on the screen. 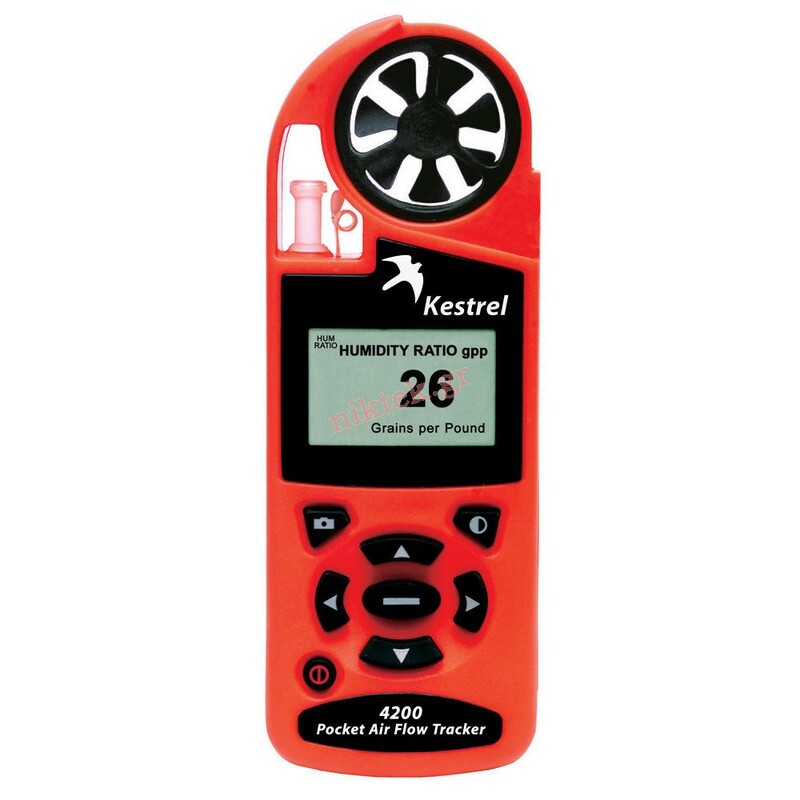 The Kestrel 4200 HVAC Air Flow & Environmental Meter features a powerful data logger that records 1600 sets of measurements at user-selectable time intervals (over 2 years of data can be recorded). Logged data can be reviewed with the 4200’s on-screen graphing capabilities, or uploaded to a PC for in-depth review. The optional Kestrel Interface and accompanying Kestrel Communicator software makes long-term storage, in-depth analysis and detailed charting of stored data a breeze. With on-screen customization, the 4200 can truly be personalized for every technician. Easy set-up screens allow the unit to display only relevant readings, and hide screens not related to the job. Plus the Kestrel’s user screens group pertinent information on one easily referenced screen. Includes: Soft Carry Pouch, Neck Lanyard, 2 AAA Batteries (average life 400 hours) and Kestrel Certificate of Conformity. 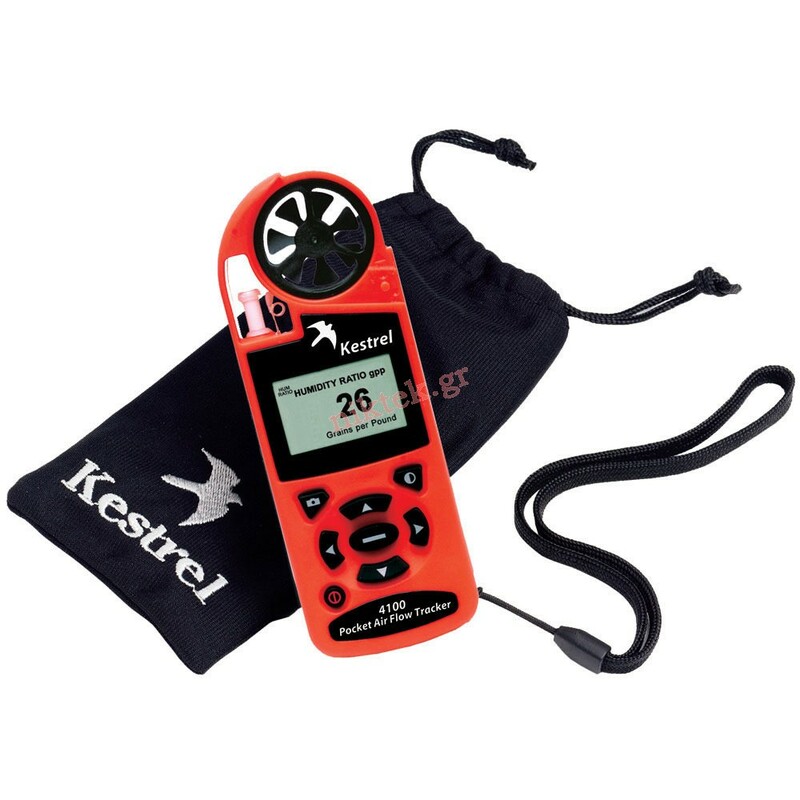 Kestrel Weather & Environmental Meters are designed & manufactured in the U.S.A and are backed by our 5-year warranty. Innovatively designed for stability and accuracy in abrupt condition changes. Rugged and durable, Kestrels are drop tested, waterproof and designed to float if dropped in water.